Eavesdropping Attacks Hits Everywhere. But No Worries, BVK has recently annouced a brand new solution for that. ase-ng RS M3(Card Reader Shield) is an easy to implement and highly reliable physical security solution against eavesdropping and all other M3 area card skimming attacks. ase-ng protects M1, M2 and M3 Zones with smart, connected and reliable solutions. EAST (European ATM SEcurity Team) published a guideline to standardise the terminology of locations of Card Data Compromise devices at ATMs. 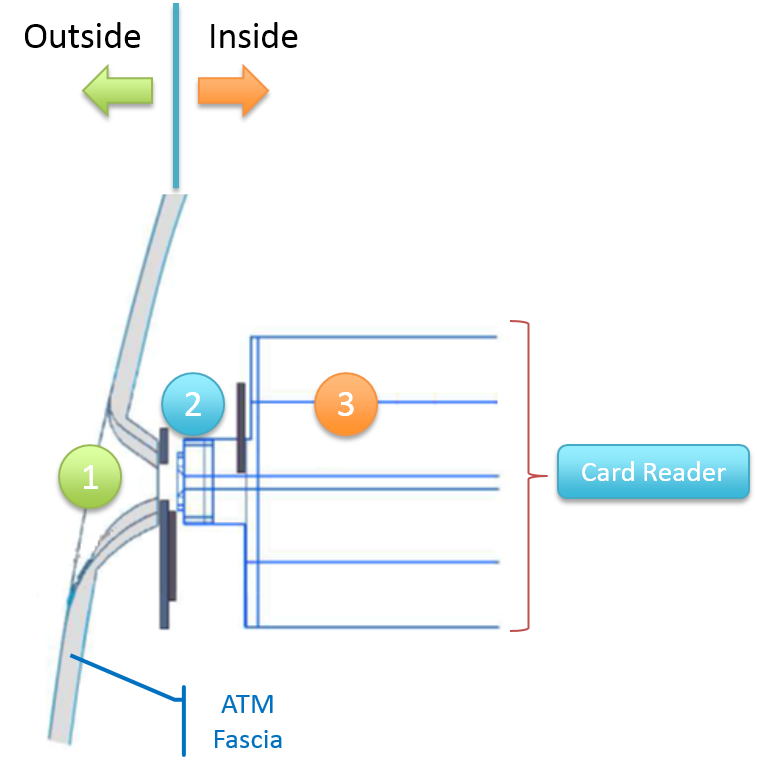 According to this guideline, the card skimming devices are located in 3 different zones in a motorized card reader. ase-ng has got answers for all. Kürşat Kurt, the managing partner of <bvk> made a speech about IoT technologies and its applications on ATMs during the Southeast Asia ATMs 2015 Conference. ATMIA (ATM Industry Association) and RBR jointly organised Southeast Asia ATMs 2015 conference’, the only dedicated ATM conference in this fast-growing region. The ATM channel is part of an increasingly interconnected world. What is the Internet of Things, what are smart connected products, and how can they change our lives? This presentation looks at ways in which ATMs and other types of device can be made both smart and connected, and examines how ATM operations, security and management are changing as the IoT evolves. <bvk>, a member of ATMIA, had attended the event as an exhibitor. All <bvk> solutions as well as the ase-ng has created admirable interest among the visitors. Kürşat has over 20 years’ experience in payment systems, ATMs, cards and terminals, and is the Managing Partner of BVK, which designs and produces smart and connected ATM security and management products. Previously, he held executive positions at multinationals such as Brink’s, Diebold, Schlumberger & Gemalto. He holds a B.S. degree in Computer Science from Istanbul Technical University, and an MBA from Koc University. 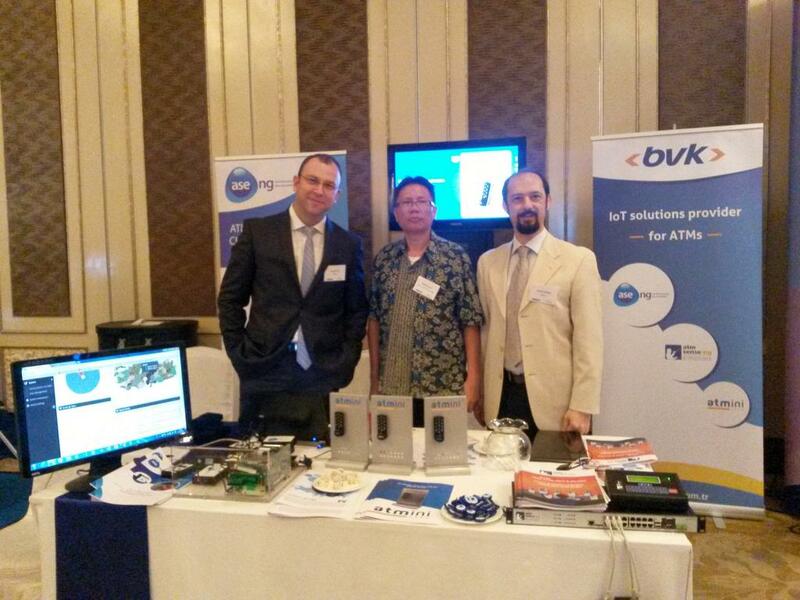 <bvk>, a member of ATMIA, had attended the event as an exhibitor. All <bvk> solutions, as well as the ase-ng has created admirable interest among the visitors. ATMIA (ATM Industry Association) and RBR jointly organised Southeast Asia ATMs 2015 conference’, the only dedicated ATM conference in this fast-growing region. This event offered delegates and exhibitors the opportunity to share experiences and insights with their peers and industry experts from across Southeast Asia and surrounding regions. The ATM Industry Association, founded in 1997, is a global non-profit trade association with just under 5,000 members in 65 countries. The membership base covers the full range of this worldwide industry comprising over 2.2 million installed ATMs. ATMIA has chapters around the world in the United States, Canada, Europe, Latin America, Asia-Pacific, Asia, Africa, India and the Middle East. RBR is a strategic research and consulting firm with three decades of experience in retail banking, banking automation and payment systems. It assists its clients by providing independent advice and intelligence through published reports, consulting and newsletters. RBR is recognised as the leading provider of premium research reports on ATMs and payment cards. RBR also publishes Banking Automation Bulletin, a monthly research newsletter. BVK is proud to officially support this second EAST FCS Forum (The EAST Financial Crime & Security Forum 2015) which takes place on the 11th and 12th June 2015 at the Grand Hotel Amrâth Kurhaus, The Hague, Scheveningen (Netherlands). The EAST FCS Forum will bring together global stakeholders with the objective of sharing knowledge, the latest trends, innovations and modus operandi in the ATM Security field, as well as the impact of international financial crime, and seek practical and strategic measures to respond to ever-evolving threats. The conference agenda is set by national members and will include contributions from regional and international stakeholders. The event is co-organised by EAST and LiquidNexxus. The European ATM Security Team (EAST) has national members representing 31 countries, with a total deployment of 655,398 ATMs. In a European ATM Crime Report covering the full year 2014, EAST reported overall ATM related fraud losses of €280 million. This was up 13% on 2013 when losses were reported at €248 million. This rise was largely driven by an 18% rise in international skimming losses (up from €201 million to €238 million). The USA and the Asia-Pacific region are where the majority of such losses were reported. Domestic skimming losses fell 9% over the same period. In 2014 EAST began to collect statistics for ATM Malware after the first incidents were reported in Western Europe. These were ‘cash out’ or ‘jackpotting’ attacks. In 2014 51 such incidents were reported, with related losses of €1.23 million. In 2011 EAST embarked on a long term strategic planning process designed to take the group to the next stage of its development. As threats evolve and continue to migrate EAST has made a strategic decision to reach out to additional stakeholders. The bi-annual EAST FCS Forum helps to further improve the sharing of relevant information to ensure a more coordinated and effective response to fraud globally. Founded in 2004 and headquartered in Istanbul, Turkey, BVK is an ATM Solutions Company. 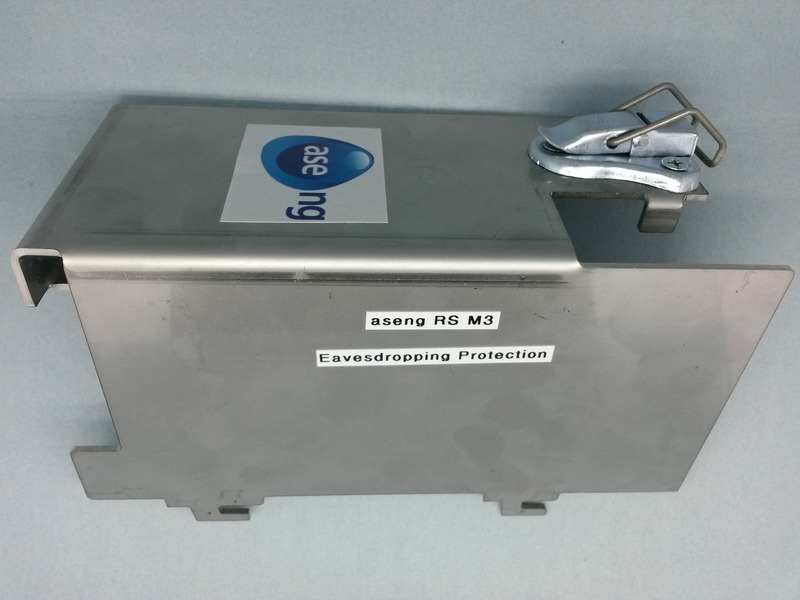 BVK is specialized in anti-skimming, smart, connected devices, IoT Technologies mainly for ATMs & FIs. BVK therefore has unique solutions; increasing both ATM Security and Operational Efficiency. Today BVK solutions are sold through a distributor network in more than 30 countries. 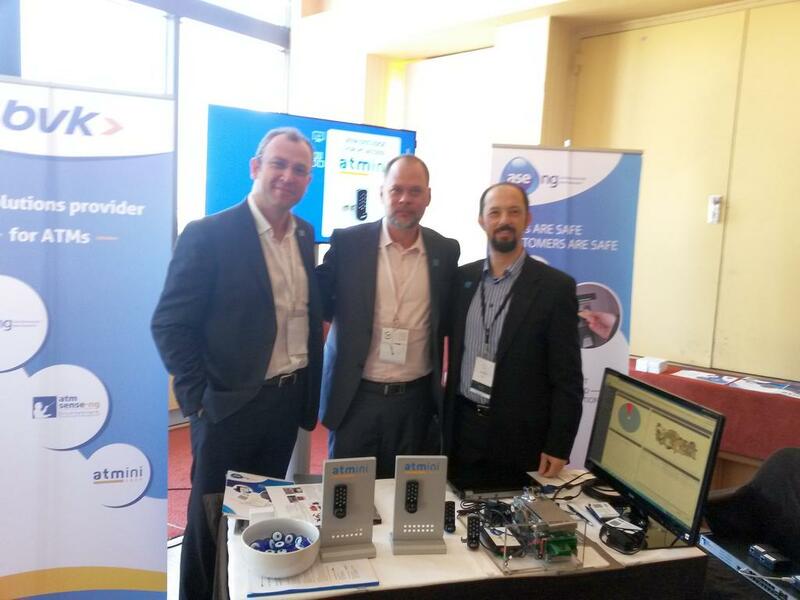 BVK is the associate member at EAST (The European ATM Security Team). EAST is a ‘non-profit’ organisation whose members are committed to gathering information from, and disseminating EAST outputs to, ATM deployers and networks within their countries/regions. Join BVK and fellow EAST members in the Hague in June. Please have a look at our new video. You’ll have a clear idea about what is ase-ng and how it works. Our web site and its content have been renewed. Hope you enjoy. Any of you feedback is highly appreciated. Please contact us.